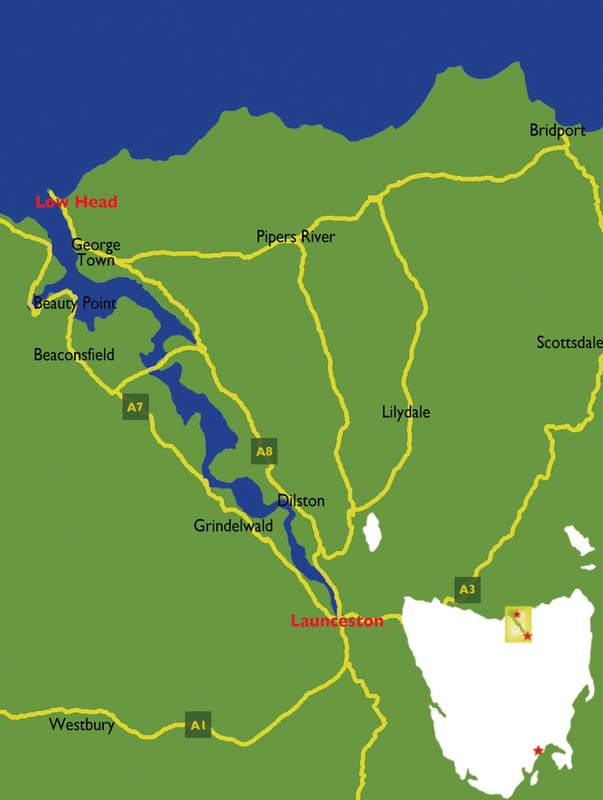 We are situated at the head of the Tamar River in Northern Tasmania. The Pilot station is located on the eastern side of the river on a low peninsula and adjacent to Pilot Bay. Travel along the East Tamar Highway towards George Town, go straight ahead at the Bell Bay round-about and again straight ahead at the round-about in George Town. Follow the road for 5 kms to Low Head. Be aware of the speed limits. Interesting sites you will pass on the way out to Low Head will be the Bird Sanctuary, Marion Villa, Leading Lights and Light Keeper’s Cottages, Ainslie Nursing Home complex including St Paul’s Church, Lagoon Beach and Lagoon Bay Picnic area. A short detour will find East Beach. On reaching the Pilot Station turn into the complex and enjoy your stay. View the Museum, have a cup of coffee at the Coxwain’s Cottage Café or just take a walk and enjoy the history and scenery. After a browse around the Pilot Station travel further along the road, noting the former Telegraph Station and Penguin Rookery on the left, to the Lighthouse and Foghorn sites. There are also some interesting old houses to view in the area.